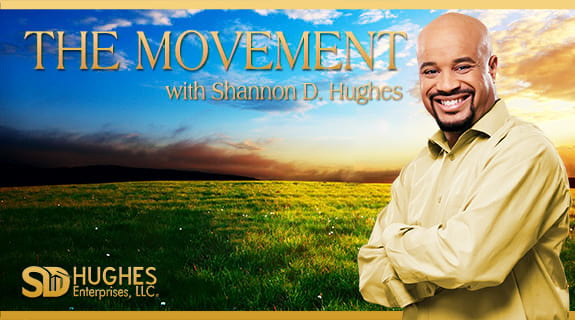 Two more exceptional women join Shannon D. Hughes on The Movement during the Me Too Month of May. Zaundra Grant is a Best Selling Author, Speaker, and consultant and divorce recovery coach. She is a survivor of divorce and helps people deal with the after effects of divorce. Also on The Movement we have Sammi Tucker. Also a survivor of divorce. She has faced uphill challenges in her life. She lost her most of her left arm in an accident. But has gone on to become a sought after speaker, resilience and speaking coach, and soon-to-be author. They both will talk about recovering from divorce and how they both empowered themselves to become the dominate women they are. They will also share their thoughts about women in buSammi Tucker is an epic overcomer. At 41 when it looked like she had it all, Sammi lost most of her left arm in an accident. Her marriage ended, her career was over, and her relationship with her kids was in ruin. What should have destroyed her instead became her greatest source of clarity and strength and in 2016 she became the first woman to represent the USA in the Paralympic games as an open compound archer. She is a highly sought-after speaker, resilience and speaking coach, and soon-to-be author. Her upcoming book Pain to Purpose: Find Your Voice, Tell Your Story, Be Unforgettable will be just that……UNFORGETTABLEsiness and the trials and tribulations they face. As a result of Zaundra’s own ten-year divorce recovery journey, after being married for 11 years, she chose to live out her purpose of helping others through their divorce and life after divorce. The #1 Best Selling author of Better Than Okay, also available on Amazon, Zaundra believes, “Divorce can make you bitter or make you better. The choice is yours. Having been a divorce recovery coach for the past 8 years, coaching both men and women who were ready to do the work required to become stronger mentally, emotionally and spiritually, Zaundra is also the proud mother of 2 young men ages 22 and 16. She’s earned a Bachelor’s of Science and a Master’s of Business Administration and recently celebrated her 20 year anniversary with her corporate investor. Zaundra is also a certified member of the John Maxwell Team.